You can view the video clips here http://www.doctoroz.com/episode/oz-alert-deadly-heart-attacks-women-under-55-rise?video_id=3779837430001 (Part 1) and here http://www.doctoroz.com/episode/oz-alert-deadly-heart-attacks-women-under-55-rise?video_id=3779864434001 (Part 2). There is a recap here, http://www.nerdles.com/2014/09/11/the-dr-oz-show-recap-multi-dose-flu-vaccines-contain-potent-neurotoxin-91114/ which is pretty good. 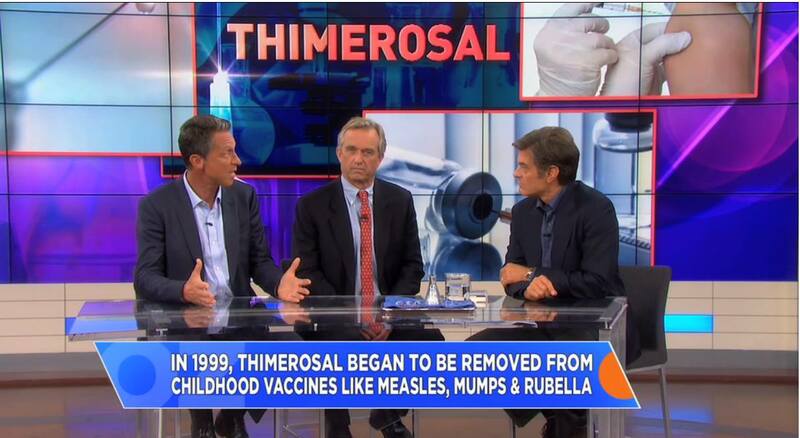 In short, all three men agreed thimerosal in vaccines is a very bad idea. All three agreed it should be removed completely, not only from vaccines, but from ALL medical products. Period. **I have edited issue number 4, due to an error in the original post of this article, in which I incorrectly stated that the ACIP did not recommend flu shots (regardless of whether or not they contain thimerosal) for pregnant women. I apologize for the error and appreciate the reader who pointed it out.